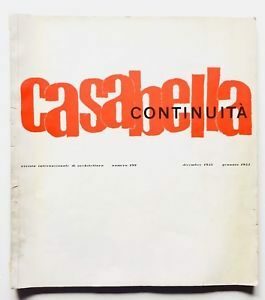 In order to understand the state of contemporary architectural publishing, I believe we should re-read the articles that launched new phases in the great journals of the past. 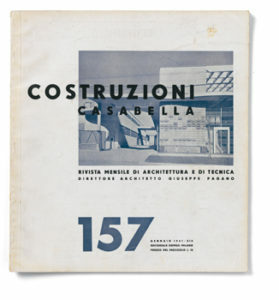 Take, for example, the courageous editorial published in 1941 in «Costruzioni-Casabella», issue n. 157, where Giuseppe Pagano attacked mannerist traditionalism and monumental obsessions, initiating a discussion on the formalism of Fascist architecture which was to influence the architectural debate right up to the present day. Or take that of Ernesto Nathan Rogers, published in 1954 in «Casabella-Continuità», issue n. 199, where the famous quote by Marcus Aurelius “He who sees present things sees all that has been since the dawn of time and what will come about for all eternity because they are all of the same nature and species”, posed dynamic and highly topical questions concerning the relationship with history, the design merits of existing buildings and conservation as a creative act. 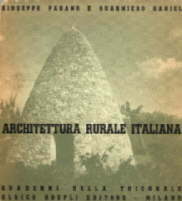 Or take George Howe’s academic discourse, published as an editorial in the first issue of «Perspecta» in 1952, on training architects to be creators of a synthesis that draws together different disciplines, on architecture as the art of feeling, doing and thinking which influenced the future characteristics of Yale School of Architecture and had enormous influence on the Italian field as well. It was a time when the choice of what topic and text should be published was made by editors who were often architects, just as the authors of the articles were often active draughtsmen who, as well as being interested in maintaining the high quality of the journal and taking pride in it, all had a common concept of architecture that was generally shared, though expressed in a multitude of different results. What is worth noting is that in re-reading these texts and comparing them with the rest of the pages in those magazines, we cannot detect any similarity, even fleeting, with the state of contemporary architectural publishing; compared to the selfless commitment that those editorials expressed, today’s situation stands out in all its distressing, novel triviality. Of course, the entertainment architecture churned out by top professional practices and designers riding on the crest of a wave cannot help but spill over onto the glossy pages of the most popular magazines, thronging articles and reviews. It is the market itself that dictates this, the strong link between a product that suits sales conditions and suitable advertising, in line with the needs of distribution. In contrast, what leaves us aghast is this form of publishing’s total, meek adherence to its role as a large or small hub serving a sector that specialises in communication, the Internet’s addiction to neutrality, with the result that it goes from being a potential instrument of freedom to one of approval and, at the same time, escapism. We no longer even feel the need for a critique of the articles published nor for suggestions when we read these journals; instead, the reader comes across a series of perfect photographs taken by famous photographers, accompanied by a text that is purely meant to be decorative or, if you like, graphic: filling empty spaces, mimicking alignments. For some time now, articles that could cause irritation, stir up debate and controversy capable of generating real knowledge have not been published. What’s more, no one misses them either. After all, it is this very democracy of consumption, the choices induced by those who buy and leaf through these magazines, that is the naive pretext used to justify such a situation. 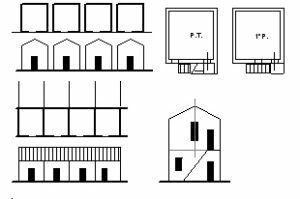 Furthermore, it is a situation that corresponds to an architectural market where an immediately satisfying novelty, no matter how unrealistic or useless, is more important than corroborating a truth manifested by others or contributing to forming a shared heritage. It is a commercial circuit that generates legends and heroes, inexplicable masterpieces and truths that do not require any proof and are based only on the might of media approval. In such circumstances, it is clear that we are offered no real choice or alternative, the basic condition for all freedoms: every single new issue of such magazines, with the odd exception, reveals a world of opportunism, repudiation and manneristic revolutions that only help sustain a spectacle that is actually increasingly unpalatable, as proven by the unprecedented crisis the industry is currently experiencing. And yet it seems that some of these magazines have now been entrusted with the quasi-institutional role of establishing what is culture in architecture and what isn’t, who the authors with new messages worth heeding are and who are not. It is a dumbing down in favour of the most common clichés and the trendiest research that, even in universities, recent evaluation organisations seem intent on encouraging, as recently occurred in an obtusely authoritarian way. Given such a state of affairs, «U+D urbanform and design» – loosely created with the patronage of the International Seminar on Urban Form’s Italian branch and the Lpa Laboratory, with support from the DiAP Department of Architecture and Design of “Sapienza” University, Rome – aims to put itself forward as an alternative space designed for the entire scientific community, open to discussing the research that is being carried out on Urban Morphology, understood in its widest sense as an instrument for interpreting and designing architecture at all its different levels: buildings, cities and regions. 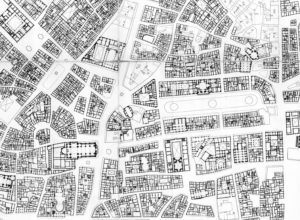 The field of Urban Morphology is the innovative continuation of a strong heritage of study that developed in many European research centres, particularly after the Second World War. However, in the sense of the term as we understand it, it is not a neutral discipline. We believe that it contains in its very DNA a realistic and clear proposal for interpreting and designing architecture that defies the current drift of architecture understood as the art of producing the original and ending up with the superfluous. The basic theory implicit in this project, as well as the reason for putting forward a new magazine, is indeed the firm belief that what we as architects need to produce in a tangible way today is the continuation of an ongoing process, a process that we need to understand and study, that we need to be aware of in order to legitimately tackle changed design conditions and unprecedented forms of private and collective life that generate previously unknown spaces and brand new symbolic references. This clearly involves a decision that also defies what is, to all intents and purposes, a kind of ‘fragment art’ that has evolved over the past decade in Italian culture and that seems to interpret the urban landscape as a combination of separate phenomena and makes no attempt to grasp the shared and universal elements that render each particular phenomenon meaningful. This is why, rather than focusing on Urban Morphology in the strict sense of the term, this magazine will concentrate on issues and knowledge concerning the constructed world as it develops, the needs of a sustainable environment, the product of an intelligent and balanced use of resources, the prospect of resilient, flexible cities that can transform change into a resource. These are all issues that, if we are capable of looking beyond the cultural fashions that have stifled them, still possess an inherent aspiration to consider architecture as a tangible place where life is lived and pulsates, rather than simply considering its aesthetic merits. 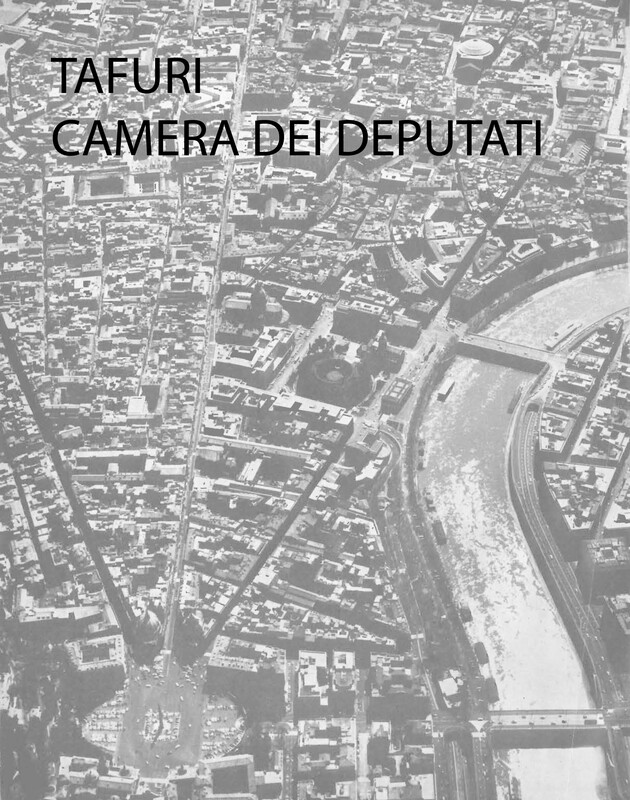 There are also notions such as “organismo urbano”, “tessuto” and “processo formativo” that permeate forms and cultures of contemporary life, present in an infinite number of different versions due to vastly different geographic, historical and political conditions, studied and employed with optimism, with a look to the future. If we briefly review the great processes of transformation underway, the current one appears to be, in actual fact, the crisis period that comes with every change at the end of a historical era, the extreme consequence of a sequence of events that regularly crosses the entire history of culture, though in ever-changing forms and terms. This magazine will support such a stance with the conviction that is characteristic of its editorial team, as well as the openness and willingness to discuss that is the spice of every scientific initiative. Articles will be chosen on the basis of a peer review system and though there will be a printed version of the journal, it will mostly be available in online form. Indeed, the Internet is a new, free territory that has only been partly explored: it features peaks that anyone can climb, communication hubs that can be accessed from several different quarters, centres attracting common interests. 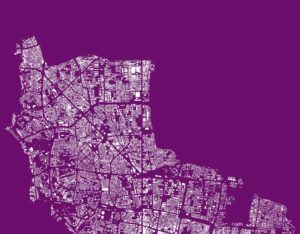 It is a territory that is open to the future and that is pensioning off an architectural publishing industry that has become stagnant and has jealously barricaded itself behind monopolies and financial rewards derived from advantageous positions. In line with its editorial strategy, the expectation is that the magazine will change and improve over time in response to readers’ suggestions and criticism, elements that the editorial team, the management and the scientific committee declare themselves to be entirely open to as of now, in the hope that their efforts could prove to be a small contribution towards paving the way for better times. 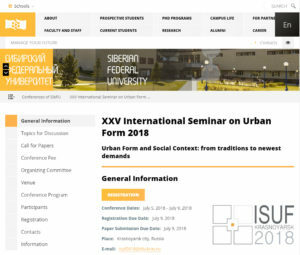 ISUF 2018 – Urban Form and Social Context: from traditions to newest demands – Siberian Federal University. 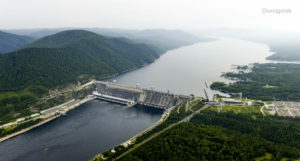 Krasnoyarsk.